Tanay Graham had two black eyes and the desire to leave an abusive partner -- but stayed in the relationship because her local shelter couldn’t take her children. "I walked away literally crying with the shelter papers," Graham said. But Prince George’s County officials hope a $1.5 million dollar grant will help more domestic violence survivors find and fund new housing. "We have needed these services for so long," said Sisters 4 Sisters founder Carolyn White-Washington. "I cannot emphasize how many women have stayed in abusive relationships because they had nowhere to go." The State’s Attorney’s announced Tuesday that they received the grant, which will be used to fund between three and six months of housing for women leaving abusive situations. Survivors can request the funding extend to a whole year. Graham was eventually able to stay in apartment housing for abuse victims. Now, more women will have the option to leave, without restrictions that force difficult choices. State’s Attorney Angela Alsobrooks said the program is designed to preserve each survivor’s dignity while helping them leave violent partners before a serious or deadly attack occurs. "It’s going to free many a victim, and they’ll be able to come with their families," Graham said. 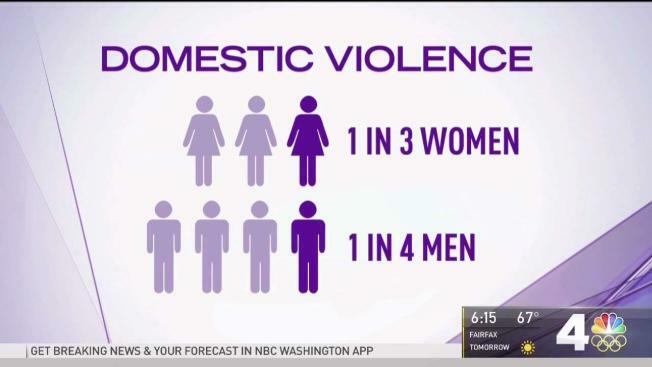 Many programs require domestic violence survivors to have a court case pending against an abuser before providing assistance. And some shelters do not allow older teenage boys to stay with their mothers. The new program doesn't enforce those rules. Survivors will be able to select their own housing with the help of Prince George’s County and their local partners. Instead of a shelter, survivors can choose a place to rent. Alsobrooks announced the program during Domestic Violence Awareness Month in front of the Capitol Heights Krispy Kreme store. The Krispy Kreme is selling purple-frosted donuts this month to raise awareness for domestic violence. A purple light bulb comes with every purple donut, along with a list of resources for victims of domestic violence.